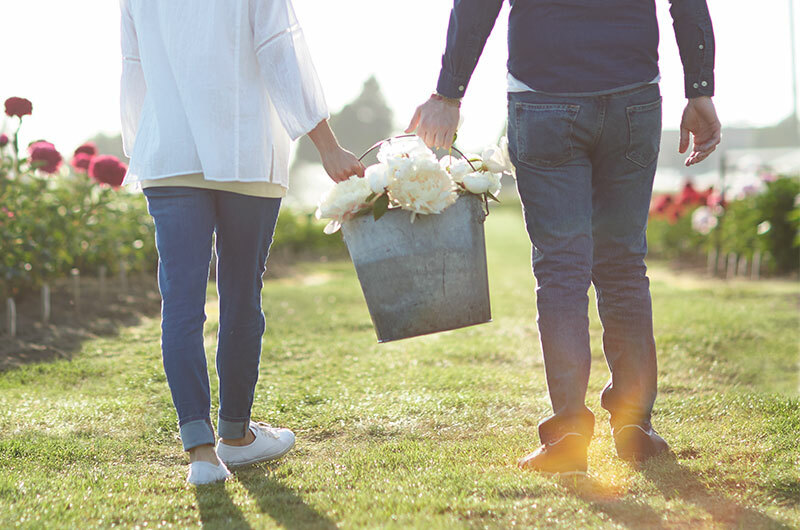 Whether it’s your first anniversary or you’ve spent many wonderful years together, coming up with a way to celebrate each year can leave you scratching your head for anniversary date ideas. 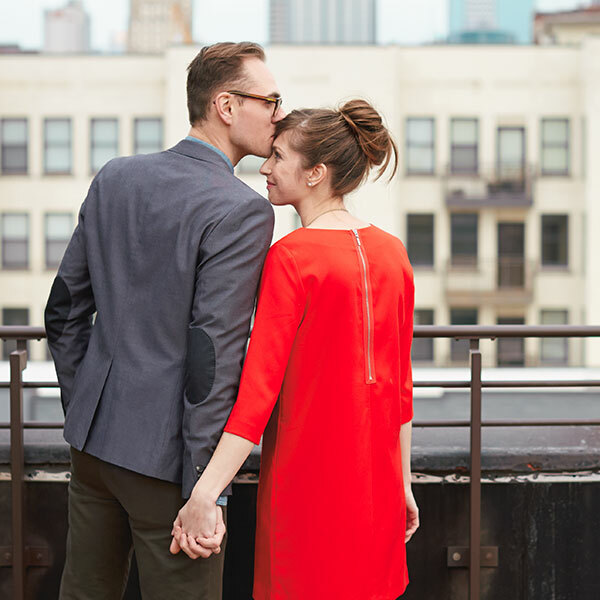 No worries—we’ve got seven date ideas from certified happy couples for you to make your own. They go from sweet and simple to a little bit more…adventurous. Ask the kids—and extended family, if they’re along—to tell their favorite stories about you. Make sure you get a group photo to frame. Invite your best man and maid of honor to join you. The more the merrier! Reserve a private room at a nice restaurant so you can laugh and celebrate as loudly as you please with your loved ones. Each anniversary, pick a different country or cuisine you’re curious about. Do a little online research and find a local, family-owned place that serves food from that area. Choose areas with connections to your family’s heritage or places you lived or visited as a child. If there are a few appropriate restaurants in your area, go to one for an appetizer, one for dinner, and another for dessert. Travel for real to a region you’ve sampled and fallen in love with. For example: For anniversaries 1-9, try cuisines from different parts of Europe—and for your 10th anniversary, travel by train from country to country. Whether it was dinner and a movie, meeting for a cup of coffee, or making out in your dorm room after a football game, recreate the experience of your first date and bring back the emotions you felt when you first connected. Plan the evening on your own and surprise your loved one with the trip down memory lane—from start to finish. Recreate a recreation…or your honeymoon…or choose a memorable weekend and relive the whole thing. No matter what date you decide on, be sure to tell that special someone you love them in writing with the perfect card. Want a little adventure? Climb in the car, pick a direction, and drive till you see something interesting. It might be a park, a restaurant, a tourist trap—be ready for anything. Incorporate your wedding date or anniversary into the drive. Married on June 4, 2016? Drive six miles and turn, then four miles, then 16 miles and stop. Is it your 6th anniversary? Hit the highway and take the sixth exit down the road. Snag a memento from where you end up—a menu, postcard, or just a silly souvenir. Or highlight your journey on a map. Make it a sleepover. Pack an overnight bag or camping gear. Same idea—but in a different state or country. If you have little kiddos, it can be tough to swing a night out on the town to celebrate. But having a date night at home allows you to focus on one another while the kids are nestled in their beds. Order carry out food from someplace special to enjoy at your own kitchen table. You can get out the wedding china, or eat off paper plates and avoid the cleanup. If your children are old enough, they might have fun playing wait-staff and serving you your dinner. Print out your own menus to commemorate your evening. Or write cards or love letters to each other to read over dinner. Set up an after-dark picnic in your backyard. Grab a throw, a bottle of wine, and your favorite picnic foods and revel in the stars and quiet time together. Hire a personal chef to turn your home into a fancy restaurant. You can relax and kick back with a cocktail and some (long overdue) conversation while the chef does the work for you. Instead of making plans, make something for each other, and exchange gifts over dinner. Use your creative skills, or learn a new one, or just create something from the heart. Get inspiration from the traditional anniversary gift for your year—you can find the recommended materials or objects here. Try to keep it a secret until the big reveal on anniversary night. Take a creative class together and collaborate on a project. Each of you tells the other something on your bucket list, a secret childhood wish, or a crazy dream. Your partner has to make it “come true”…but the budget is based on how many years you’ve been married. Make it $1, $5 or $10 per year—the less you spend, the more creative you have to be! This idea is already about as personal as it gets. A keepsake is usually built in to this gift idea. Same answer—this one is already fun. You might take your husband on a jungle safari by putting all the house plants on the patio and dressing the kids and pets as wild animals. OR make your wife a movie star by scripting and shooting a film on your smart phone—then inviting pals to a screening to play paparazzi. The more impossible the dream, the more fun it is to make it come true. Up the budget a little. Or make a mutual wish come true—for real. Wondering what the traditional anniversary gift is for your special day? Hallmark’s list of anniversary gifts by year, broken out by both traditional and modern, can help you choose of the perfect gift for that special someone.